You might have experienced some very cold temps in the last few weeks. Cognitively, brains work best in cooler (but not cold) temperatures. But the rest of our body sure likes it a bit warmer. If you were thinking of “warming up” to some “very hot” learning, I’ve got something pretty amazing for you, and it’s in a warm place! In fact, you can get a huge savings on your hotel where the winter rates are slashed-but not for long. 100% Research Based, and Guaranteed. I do this amazing course only twice a year. It’s the world’s “gold standard” for brain-based learning. Fortunately, you can add exciting, fresh new content (AND MAXIMUM STRATEGIES) into your skill set. This workshop is an enriching, high energy, research-based, team-working experience. The heart and soul of this program is joyful immersion. Learn with like-minded people, in an optimal environment, with state-of-the-art resources and a first-class facilitator. You can expect inspiration, camaraderie and potent, roll-up your sleeves ideas that will last for years. 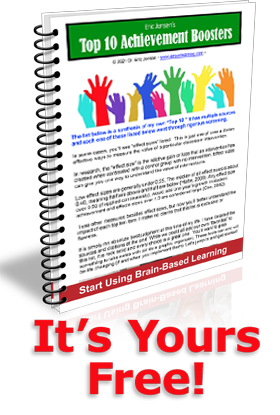 What is Brain-Based Learning? You may be shocked to find out! Not 1 in 1000 Educators REALLY Knows! Unfortunately, most educators think brain-based learning is simply knowing about axons, dendrites and synapses. That’s “old school” and it’s ridiculous! Brain-based learning is the process of thoughtfully implementing purposeful strategies based on research derived from a synergy of sizzling cutting-edge disciplines. They include, but are not limited to: cognitive neuroscience, chemistry, nutrition, social neurosciences, biology, pharmacology, computational sciences, quantum systems thinking, and artificial intelligence modeling. More has been discovered about the brain and mind in the last 20 years than in all of recorded history. Yet, most teachers have no clear understanding of how the brain learns, remembers and behaves except on a superficial basis. Sadly, this lack of knowledge leaves the average educator with an education formulated in, and designed for, the last century. But there’s hope. When you attend a Jensen Learning program, you’ll discover the genuine “Brain-based Learning” in a completely new way. Your presenter, Eric Jensen is a twenty-year veteran of the brain-based field. He’s trained more people, written more books and innovated more than anyone in the field. Every principle, every idea and strategy is role-modeled so you can see it, hear it and feel HOW it works. This program is literally, teaching with the brain in mind. It is purposeful, dynamic and easy to implement. The scientific, research-based teaching that BBL advocates involves the use of ten fundamental brain-mind principles. Each of these has been well supported by rigorous, quality scientific studies. These principles are revealed to you through activities, case study, lectures, video and discussion. Each of these principles is so powerful, that implementing even half of them will make a mind-blowing difference in your work. This program is a dynamic overview of Eric Jensen’s revised book Teaching with the Brain in Mind. This course provides specific, practical brain-compatible strategies for all educators. All teachers influence their students. Now you can discover what it takes for students to acquire complex learning and achieve their best. You’ll want to learn these essential rules for how our brain works. Kids from poverty do not need a “dumbed down” curriculum. These are the three “As” that matter” most: arts, AP (advanced placement curriculum) and activity (P.E., recess, sports). Before these kids even get to school, they have been subjected to years of “doing without.” Poor children are half as likely to be taken to museums, theaters, or to the library and are less likely to go on culturally enriching outings. Low-income children have fewer or smaller designated play areas in the home and spend more time watching television and less time exercising than non-poor children. Financial limitations of parents also often exclude low-income kids from healthy after-school activities such as music, athletics, dance or drama. In addition, kids from poverty are more prone to depression. This is critical information for educators because school sports, recess and physical activity all reduce the likelihood of depression in kids via increasing neurogenesis. In fact, part of depression is the inability to recognize novelty, which makes them disinterested in class and harder to teach. it’s easier for you to understand it when you can see it used. Additionally, Jensen always cites his sources. You can rest assured that every single thing offered, proposed or used is research based, cited and classroom tested. That means you can trust the learning, knowledge and skills you get at every Jensen workshop. The second of the two challenges refers to the type of “learning format.” We suggest the “PPPA” format. The first “P” means “paper.” Get one of Jensen’s books on the topic you want to learn about and learn the background, so you already have your brain pre-exposed to the topic. The second “P” means “in person.” There’s no better way than to get the content in a workshop where you can see, hear and practice every skill. The third “P” is to go back to your “paper notes” from the workshop when you return to school. Use them as a guide for the final “A”. “A” is for “apply.” This is where you implement the ideas and experience the joy of success. All of this new knowledge is based on a brand-new paradigm. The paradigm began with the research, which was eventually aggregated into simple, but powerful principles. Let’s get a quick introduction to the principles because they help you overcome the challenges of brain-based learning. The challenges come about the same way challenges come about for anything that is new and innovative. The questions are asked, and they can be answered. With the proper research, testing, and validation, we all can find better paths to achievement. Effectively Making an Educational Staff Development Plan Optimizes Teacher Time. 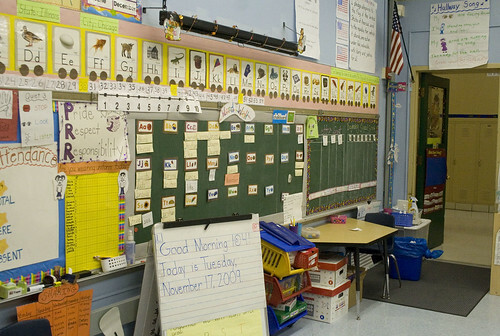 In-Service Learning Should Be about Reforms and Improvements to Teaching. Making an educational staff development plan is not always easy. There is a lot of competition for teachers’ time and, from a classroom standpoint, every day is precious. The chief purpose of making an educational staff development plan is to promote reform in the classroom and in education in general. Any reform requires teachers to center on changes to their own practice of teaching for better results. Any reform that increases student engagement, enhances retaining or critical information, and allows for higher academic achievement should go at the top of the list for material to use in staff development plans. We can safely say that teachers are far more likely to modify their everyday instructional practices (which is a huge key) when their professional development is linked directly to their daily experiences and aligned with standards and assessments. In other words, tie in what you are offering with what your staff already does every day. This way there is an immediate tie-in and teachers can see the connection. Additionally, the staff developer should role-model every strategy and give teachers a moment to practice it in small groups. Making an educational staff development plan is required for teacher recertification and licensing in all states. That requires teachers to spend a considerable amount of time in on-going development, in-service training, or post-graduate credits. There is so much to learn, but because the need to attend in-service development sometimes outweighs the effort to gain meaningful knowledge to use in the classroom, many teachers spend many hours learning how to use a digital camera, a GPS device, or other pedestrian subjects rather than filling the hours with solid, meaningful reforms to apply in the classroom.